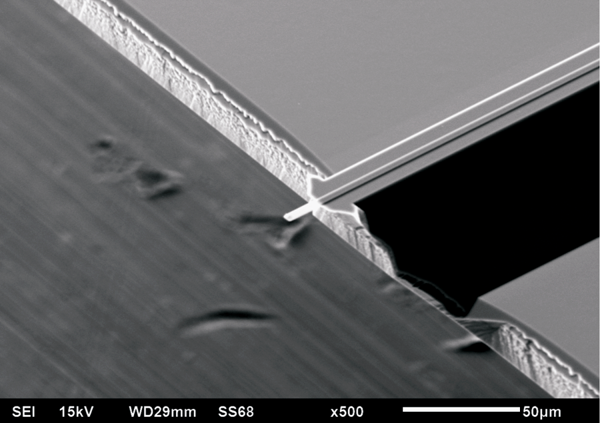 Ultra-Short Silicon Nitride Cantilevers are available on demand as NANOSENSORS™ Special Development item. 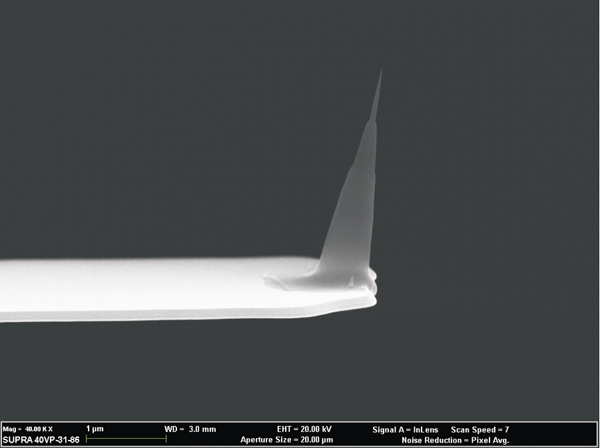 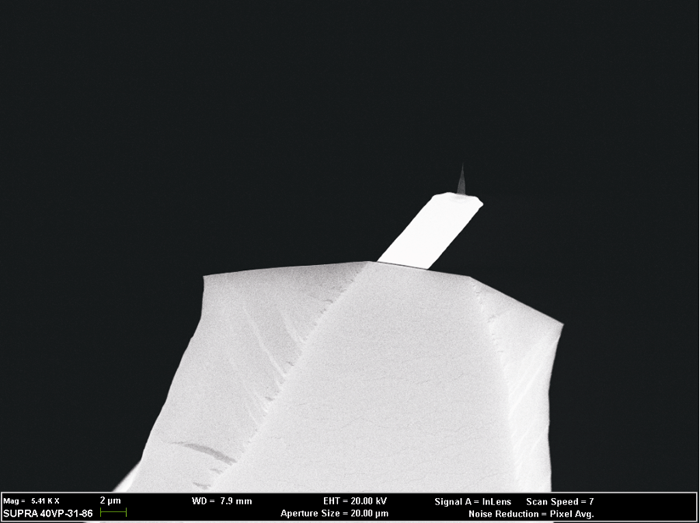 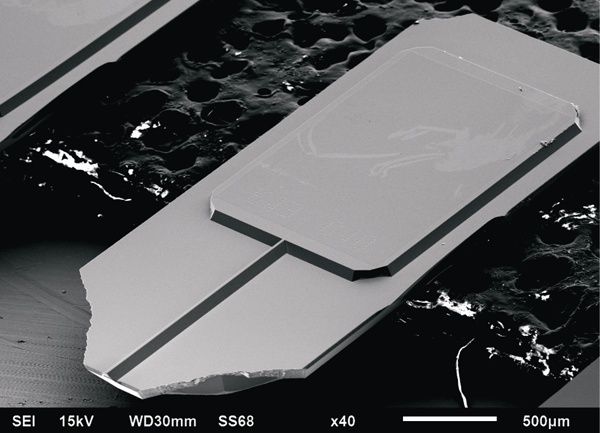 Ultra-Short Silicon Nitride Cantilevers for High-Speed AFM (HS-AFM) combine very small cantilevers made of silicon nitride which are designed for resonating at frequencies of up to 6 MHz and a very sharp and wear resistant High Density Carbon/Diamond Like Carbon (HDC/DLC) tip. 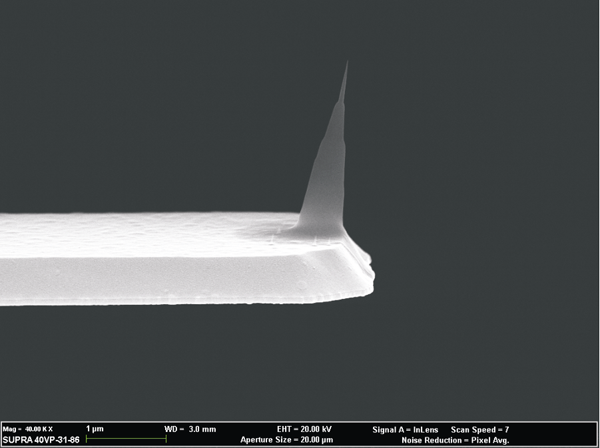 NANOSENSORS™ is a trademark of NanoWorld AG.